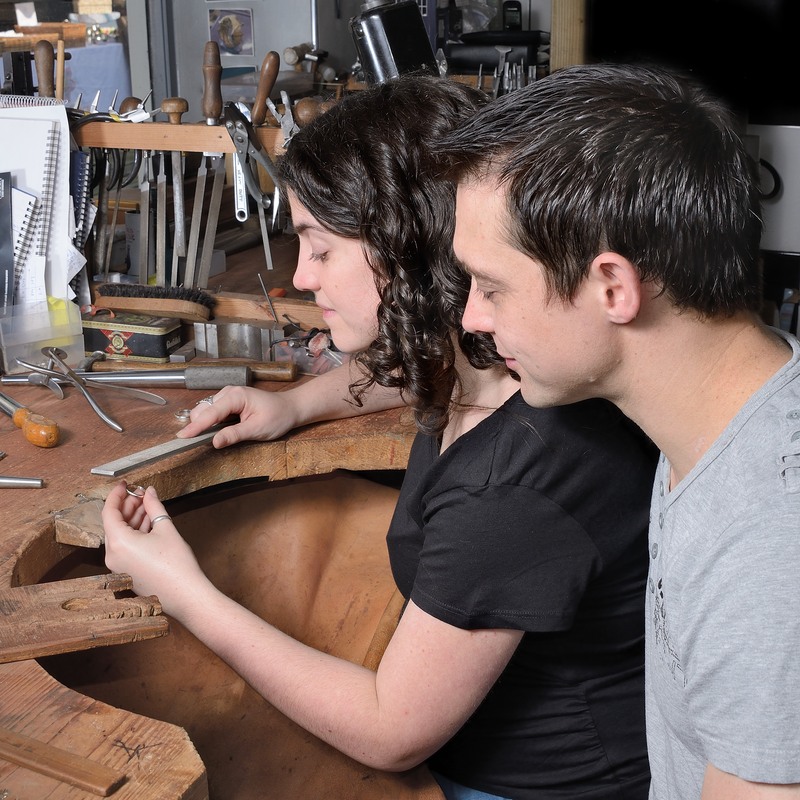 Taking Part at the Bench with The Goldsmithy to create your own Bespoke piece! Here at The Goldsmithy Ltd we offer you what few others do, the opportunity to take part in the making of your piece jewellery with us. 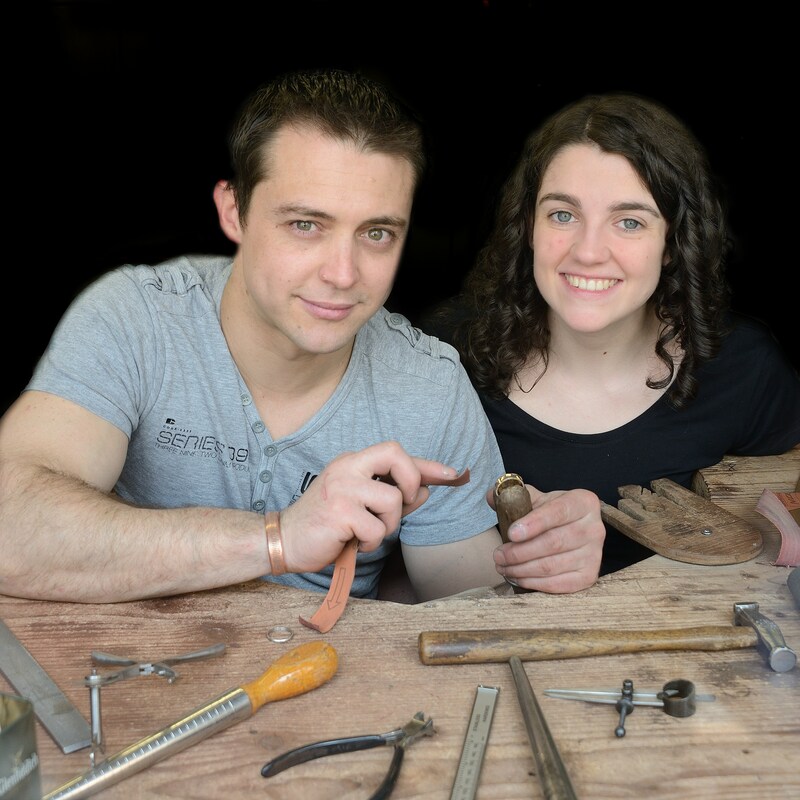 Whether you’re experienced with tools or have never picked up one in your life, this experience offers you an insight into how hand-made jewellery is crafted. When you come in you will leave your own personal mark on your piece by doing some filing and sanding which will make you appreciate the skill of the trade and enhance the uniqueness of your commission. Knowing you have helped it through its journey from a piece of rough metal to the shiny breathtaking thing you will love, makes this much more than a piece of jewellery. In our warm, welcoming workshop we’ll offer you a cuppa while you’re hard at work and take photos for you to add to the provenance of your piece. If you’ve enjoyed your time at the bench we also teach, enquire at the shop for more information. We are passionate about our trade and enjoy answering any queries you have to help you better understand the process. We look forward to seeing you at the workbench.